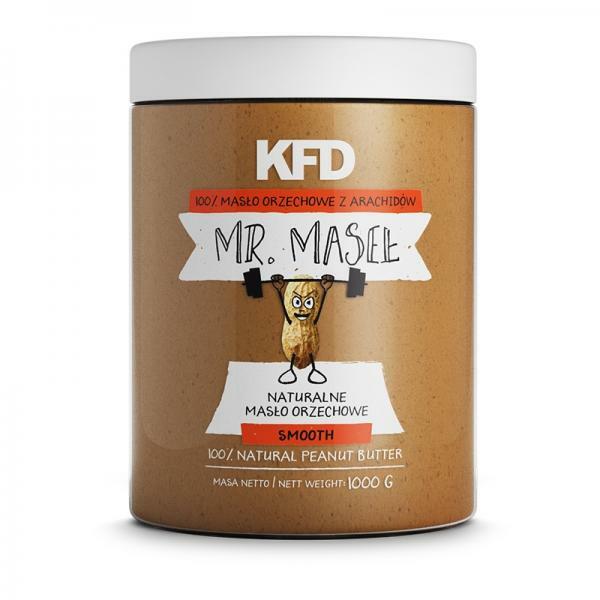 KFD Peanut Butter is a 100% natural nut butter made out of roasted peanuts. Production process uses only natural methods of grinding till smooth without any unnecessary additives. Our product does not contain any additives, which makes it a healthier alternative to other similar products available on market shelves: nut butters and creams. It is a great solution for all sports and healthy lifestyle enthusiasts because not only does it provide a great source of nutrients, but also satisfies sweet tooth. KFD Peanut Butter is a product characterised with high content of fiber, unsaturated fats (mono- and polyunsaturated amino acids), a s well as plant-based protein, vitamin and minerals (especially rich in vitamin B3 and potassium). Substances contained in peanut butter helps to improve the work of nervous system: help to calm down, decrease the level of stress, improve the sleep. They help to decrease the level of „bad” LDL cholesterol and protect from arteriosclerosis, heart diseases and hypertension. They also have positive impact on memory, concentration and sexual potention. WARNINGS: Keep in a dry and cool place. 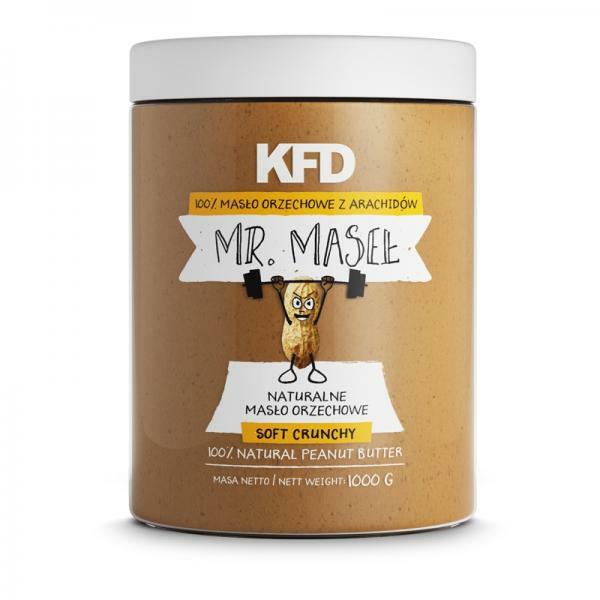 Mix before using, due to a natural process of splitting fat from nutmass. Once opened, consume within 3 months.